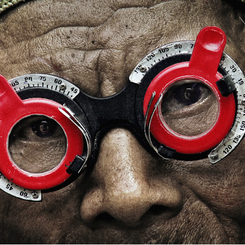 In an ambitious companion film to his Academy Award-nominated documentary, The Act of Killing, director Joshua Oppenheimer returns to the aftermath of the 1965 Indonesian genocide of communists and ethnic Chinese people in The Look of Silence. The documentary picks up the thread of its predecessor, and confronts the aging perpetrators of mass murder with the consequences of their crimes. The risks of making a film about these unrepentant killers, still hailed as war heroes by their country, required Oppenheimer’s local co-director to list him/herself as “Anonymous” in the credits. Here, we see Indonesia's past through the eyes of Adi Rukun, whose brother was killed in the terrible bloodletting 50 years ago. Oppenheimer wisely lets Rukun take the lead in confronting the murderers, who also happen to be his business clients. What follows is a stark, raw examination of humanity as it grapples with its own evil. The ownership of past crimes is simultaneously denied and shared, so that the guilt is woven into the fabric of the nation, its people, and, tragically, Adi's own family. Produced by Errol Morris and Werner Herzog, this documentary's importance is already being recognized on a level equal to its predecessor, having won the Grand Jury Prize at Venice Film Festival, along with a host of awards along the festival circuit. 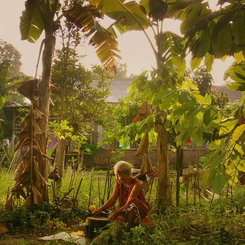 A daring and lasting study of human nature and its tragic fallibility, The Look of Silence is as hauntingly engrossing but more personal than The Act of Killing.